How many out there love mushrooms like I do? I love putting mushrooms in to so many things, I think they give a hardy and earthy taste to so many dishes. I would say that the white button mushrooms are a stable in my kitchen. In Iceland there is still snow everywhere. Yes I’m getting bit annoyed, I always said to my boyfriend that I wouldn’t mind about the snow as long as it would be almost gone in March. Well March is around the corner and I really want to go out for a run. Hopefully I can go for a run in the end of March at least. Well back to the mushrooms. 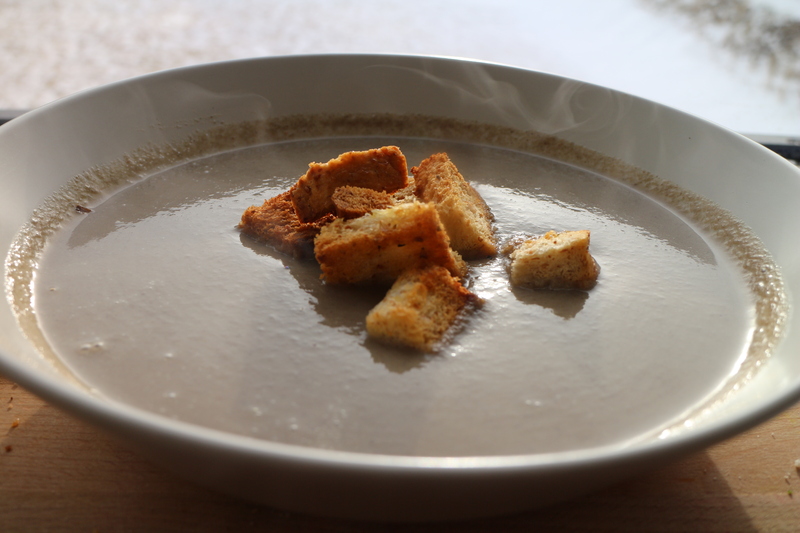 I made this soup with garlic and oregano seasoned crouton for lunch today, and it was amazing. It made me warm in this insane cold here. It’s about – 3-5°C . I have a new mushroom discovery, I’ve been loving the Chestnut mushrooms lately. 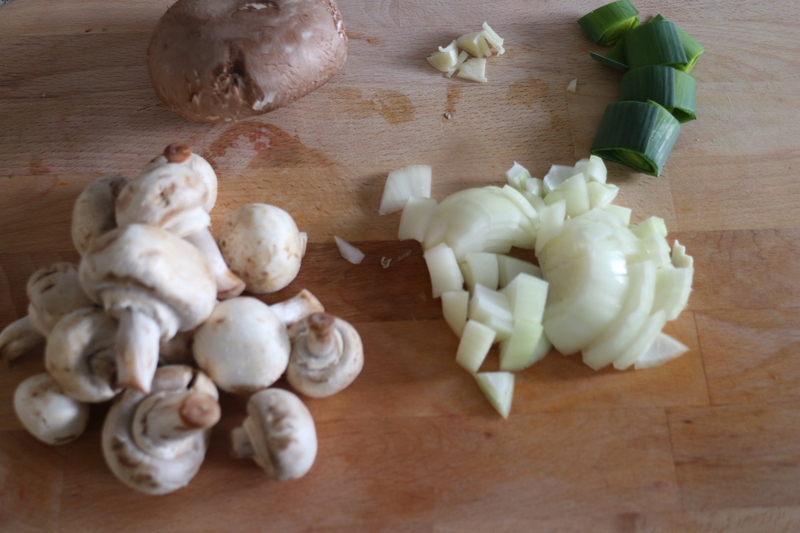 Today I tried to use it in my soup, and the soup has a very earthy flavor, they are darker than the button mushrooms so the soup looks a bit like gravy. 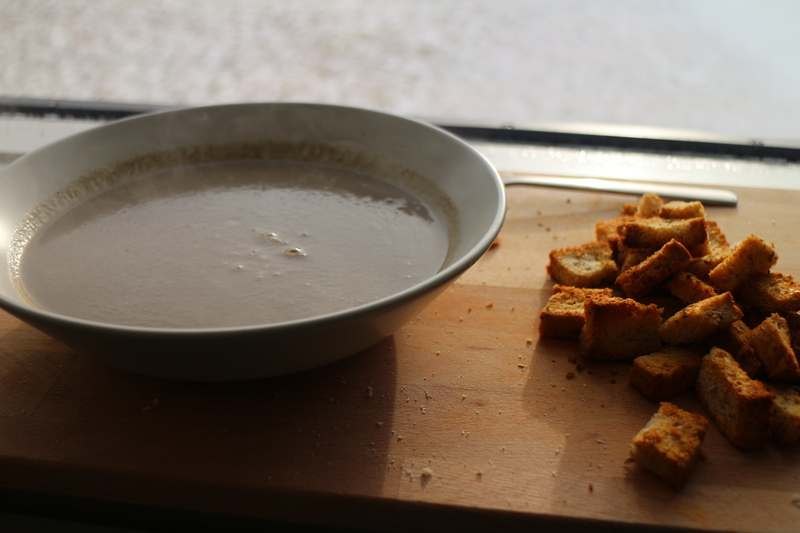 The soup, the croutons , it was so good and just what I needed on this cold day. 1. Cut your vegetable roughly because this will all go in to a blender in the end. 2. 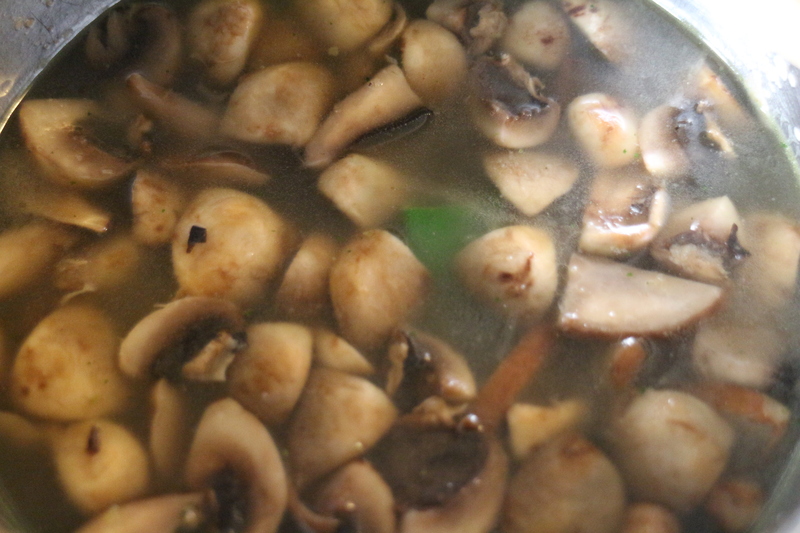 Add olive oil to sauce pan, then add vegetable, stir frequently till mushrooms are soft. 3. 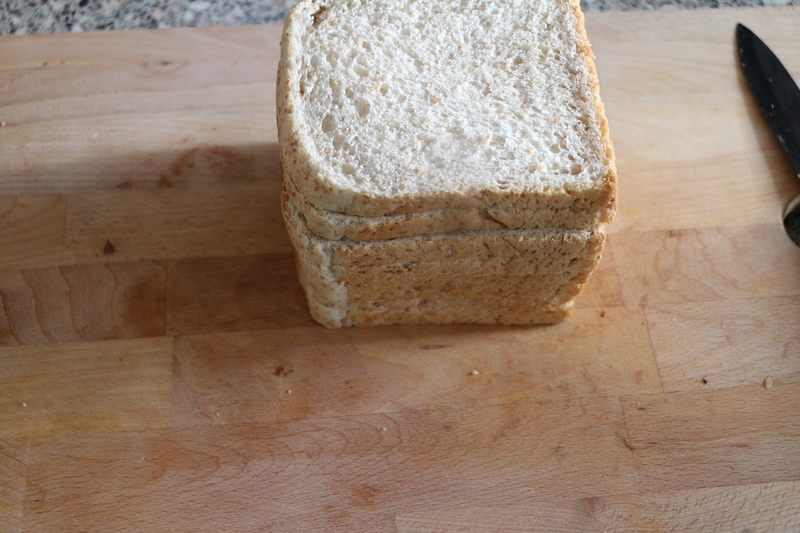 Add vegetable cube and flour. 4. Add water and let everything simmer for 15 minutes. 5. Pour the soup in to the blender, and blend. It will be steamy so you might want to have a little escape gap for the steam. 6. pour it back in to the same sauce pan, and season with salt and pepper till you like the taste. 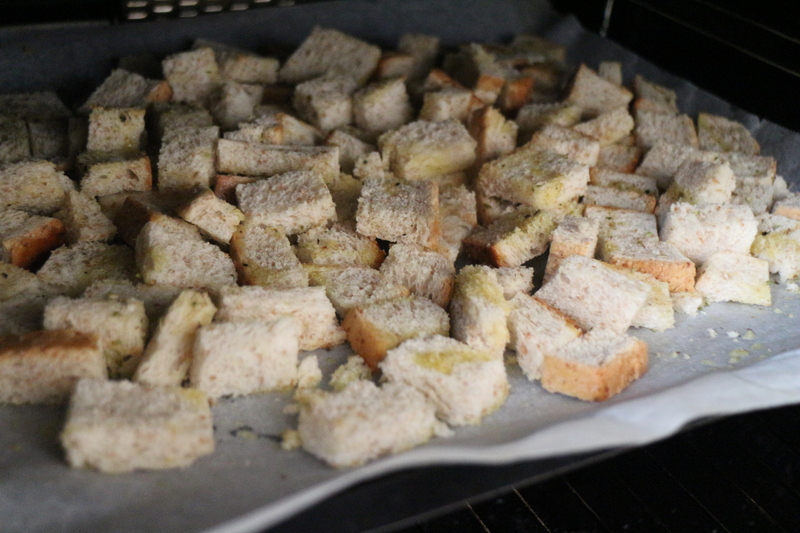 Garlic salt and Oregano to taste. 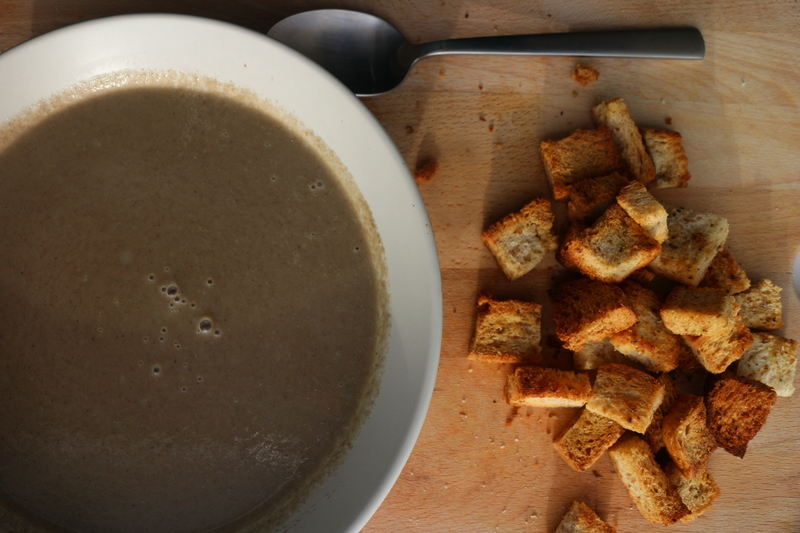 I really hope you try this soup especially if it is cold where you live right now.